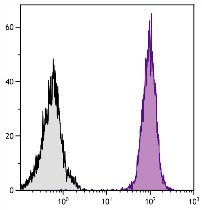 CD14 is a 55 kDa glycosphosphatidylinositol (GPI)-anchored single chain glycoprotein. 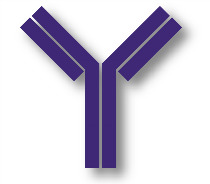 It is expressed on monocytes, macrophages, dendritic cells, and Langerhans cells. 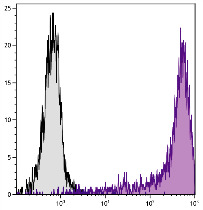 It is also weakly expressed on neutrophils. 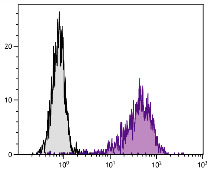 CD14 appears to be involved in clearance of gram-negative bacteria via its high affinity binding to LPS-LPB complexes. 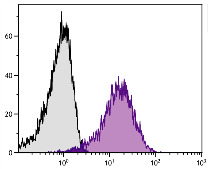 Human peripheral blood monocytes were stained with Mouse Anti-Human CD14-PE/CY5.5 (SB Cat. No. 9561-16).